Welcome to the Manitoba Field Office. Since 1999 Wilderness Committee staff have been on the ground in Manitoba, pushing for protection of wild spaces, wild species, and healthy communities. 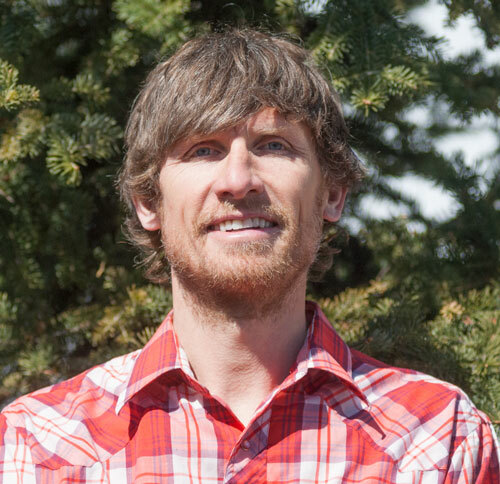 Our first campaign in Manitoba was to end logging in provincial parks, which we had success with in 2008 when all but one Manitoba Park banned logging. We continue to press for an end to mining and all industrial activity in provincial parks. Since then, we work on many additional issues. On the east side of Lake Winnipeg lies the Heart of the Boreal, the greatest intact forest left on earth, and we have been campaigning to have lands and waters here protected according to the wishes of local First Nations. Lake Winnipeg drains the largest watershed for its size on earth, and the water flowing into the lake is being degraded, threatening the health of Lake Winnipeg. Our campaign to protect Lake Winnipeg is focused on changing attitudes and actions upstream in the watershed. Boreal woodland caribou live in remote and intact old forests, but developments like logging continue to shrink their habitat. We continue to press to save this iconic species. A low carbon future is needed now, and we are pushing to end fossil fuel developments and new pipelines while ensuring that Manitoba’s hydroelectricity is managed in a just way for First Nation communities. A specific class of pesticides called neonicotinoids (neonics) are harmful to bees and it’s slowly being recognized and banned, all over the world but Canada still hasn’t banned this harmful pesticide. Bees may be small, but the impact they have on our environment – and our daily lives – is immense. Caribou are an iconic species, featured prominently on Canada’s 25-cent coin. Boreal woodland caribou are a variety of caribou, related to the caribou living in the north. Boreal caribou live in forests, and travel much shorter distances every year, if at all. Canada’s nature is the envy of the world but our Species at Risk Act isn’t effective enough. A recent study showed that over 50% of Canadian wildlife species are experiencing population declines. 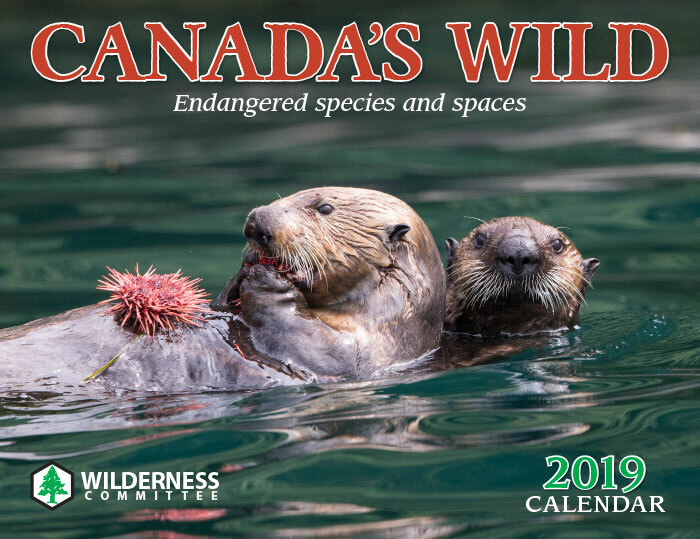 So you might be asking yourself, how can over half of Canadian wildlife be declining if we have a Species at Risk Act that is supposed to protect them? Healthy freshwater is a provider, both for us and for nature. The plants that we rely on for food and shelter need clean water, animals need water, and freshwater fisheries are a sustaining part of Indigenous peoples. We need clean drinking water for ourselves and use water to keep our households and cities clean and sanitary. The land we live on and care for is filled with freshwater. It is our responsibility to care for it. Logging, mining, and hydroelectric development all threaten the Heart of the Boreal right now. The Wilderness Committee is working to ensure that the majority of the Heart of the Boreal is preserved with large, interconnected protected areas, and that the vision and values of First Nations involved are honoured and respected. Bearded outdoorsman on melting lake ice, sunset behind him. To meet our goals and fend off climate disaster we need a plan to protect our precious wilderness, an escalating price on carbon, an end to fossil fuel expansion, and a just transition for workers affected by our new zero-carbon economy. Manitoba can and must lead the charge. Manitobans are fortunate to still have vast expanses of intact, representative ecosystems within our province. These wild lands provide clean air and clean water. Unfortunately, many of these remaining natural areas are under direct threat from development. Manitoba’s provincial parks are home to remote sparkling lakes, clear rivers, sandy beaches and wild boreal forests. You can hike through natural grasslands in Spruce Woods, relax on the sand at Grand Beach, cross-country ski at Duck Mountain, spot rare orchids in Nopiming, or paddle down world-famous canoeing rivers in Atikaki. Read our latest report, Lake Overload , where we highlight the problems afflicting healthy water across the land and apply recommendations from leading experts. We provide natural solutions to make this water swimmable, drinkable and fishable. 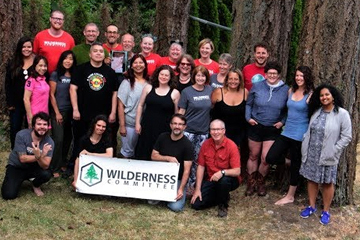 Working for the Wilderness Committee is a rewarding experience, and a chance to make a difference. Our volunteers are essential to our work. 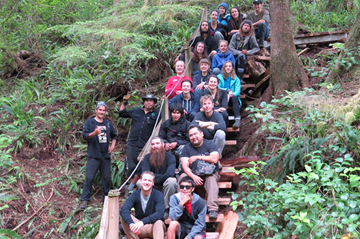 Get great experience, meet like-minded folks and help preserve our Canadian Wilderness!